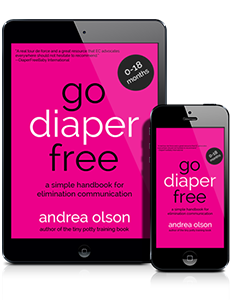 Today on the Go Diaper Free Podcast we're talking about what to do when starting elimination communication with a mobile baby who hardly ever pees...and waits for naptime to go. Or, what we call this here at GDF - a camel. Specifically, we are answering a listener question from Anne from Minneapolis, Minnesota who is ECing her 7.5 month old. It can be so frustrating to start EC and hardly ever get a catch...especially when offering plenty of pottytunities. When nothing quite lines up when beginning EC with a mobile baby, many parents give up. But not Anne! Today we'll talk about a few methods, and routine changes, that may help a child (like Anne’s, who can hold it for ages) relax enough to use the potty during awake time. Listen to the full podcast episode for a special musical surprise at the end! Ask Andrea: Submit your questions about elimination communication here! 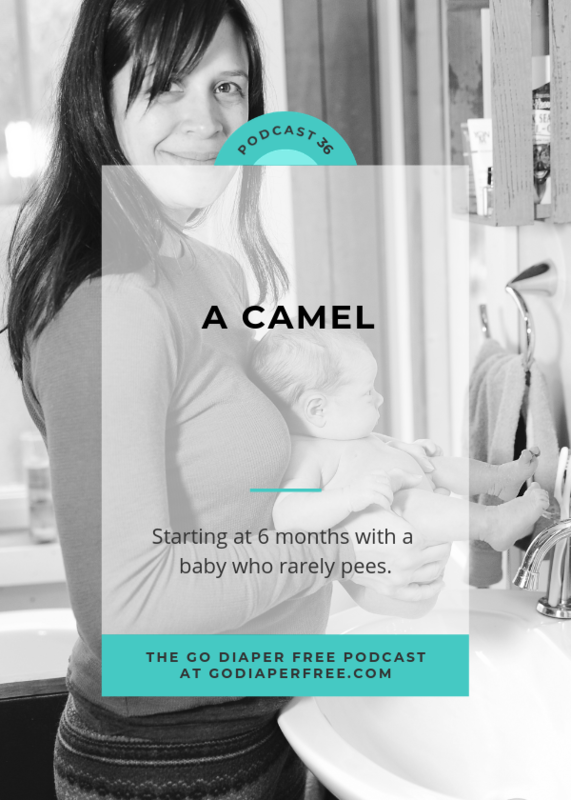 Do you have a “camel” or a child who has an interesting potty rhythm? Please leave a comment below with your experience! Hi this is Anne again! Just an update: it turns out our child was not getting enough milk, so he was constipated and not peeing enough. It took us a while to figure this out because he was exclusively breastfed and then started getting solids. Infrequent pooping is normal in both those circumstances. But then his percentiles started dropping, so that was a good clue. Anyway, we started supplementing and he started peeing and pooping when not asleep. Just another possibility. Ps Thanks for taking my question!! The tips are really helpful!